Michael McCulloch is lucky enough to take his dog to work. In fact, his dog is his work. The five-year-old miniature poodle named Captain Jennings is one of five dogs taking part in McCulloch’s ovarian cancer study at the Pine Street Foundation non-profit research facility in San Anselmo, California, where McCulloch is director of research. Captain Jennings may be small, but he has something big to prove. Dogs are already known to assist healing and improve overall health and well-being by interacting with lonely seniors and patients with mental illness, Alzheimer’s or post-traumatic stress disorder. And they can predict epileptic seizures and sense earthquakes. But the keen nose of Captain Jennings and his colleagues might well give us a new, non-invasive diagnostic tool for the early detection of ovarian cancer. McCulloch, an epidemiologist and medical researcher who is also trained in Chinese medicine, launched his first study on this subject at the Pine Street facility after reading about an incident published in 1989 in the British medical journal The Lancet. According to the article, a woman’s pet Dalmatian kept sniffing at a spot on her leg. It turned out the spot was malignant melanoma, a deadly form of cancer. A dog lover himself, McCulloch was keen to prove the anecdotal discovery on a larger scale. He trained five dogs from the Guide Dogs for the Blind program and some regular neighbourhood dogs with only basic puppy behaviour training using reward-based incentives to identify breath samples taken from men and women who had been diagnosed with breast and lung cancer(much like sniffing the shirt of a missing person and then locating the person). The dogs were then involved in a scientific study to see if they could pick out cancerous samples not previously used in the initial training from a group of healthy samples. Study participants exhaled several times into a tube containing synthetic ‘wool’ that trapped the volatile organic compounds (VOCs) in their breath. A cancerous sample was then placed randomly in a row with four healthy samples. The dogs would smell each sample and lie down beside the one they detected as cancerous, just like a drug-sniffing dog. Here’s an example of how accurate they can be: The dogs indicated cancer in 24 of 25 breath samples of one woman, who was mistakenly enrolled as a healthy control subject. She later revealed that she was in remission from breast cancer. Eighteen months after the dogs sniffed her breath samples, the woman had a follow-up MRI, which revealed a recurrence of cancer. Had the dogs actually detected the scent of cancer cells still present somewhere in her body that were too obscure to be picked up by conventional testing? Nobody can know. Spurred by the success of his first study, McCulloch is conducting a second one, with breath samples of ovarian cancer patients. This cancer has a high mortality rate and ‘is difficult to detect in the early stages. McCulloch’s study may change that. Some other studies with dogs carried out on breast, lung and ovarian cancers using breath and tumour samples also show a very high rate of accuracy. And a small 2010 study led by Jean-Nicolas Cornu, of Tenon Hospital in Paris, is encouraging: In it, a trained Belgian shepherd successfully identified 30 out of 33 urine samples of patients with prostate cancer. Current PSA tests for detecting prostate cancer often have a high false-positive rate, leading to unnecessary intervention and treatment. It’s unlikely you’ll see doggies on diagnostic duty at the local hospital. Researchers like Touradj Solouki, professor of chemistry at the University of Maine, are racing to design an ‘electronic nose’ that would have the same accuracy as canine noses but that would be economically more viable and demand less maintenance. Solouki uses sophisticated chemistry techniques to analyze the VOC biomarkers present in the breath samples used in the Pine Street study of ovarian cancer. Scientists are aware that the surface of a cancer cell emits certain biomarkers as it grows, and these can be detected by dogs in the breath and urine of cancer patients. Solouki’s hope is that there will be something on the market within 10 years. But can an ‘electronic nose’ be just as effective? Inspired by cancer-sniffing dogs, a group of scientists in Israel may have come up with the answer. In a preliminary study recently published in the British Journal of Cancer, researchers at the Technion Israel Institute of Technology in Haifa revealed they had developed a special sensor. This sensor has nanoparticles that successfully distinguished healthy breath from cancerous breath by measuring VOC levels in samples from patients with lung, breast, colon or prostate cancer. The sensor also distinguished between these different types of cancer. Researcher Hossam Haick and his colleagues now plan to confirm their initial results using the new Na-Nose in a much larger study, and foresee the day when an improved sensor will be available for clinical use. Back at the Pine Street Foundation, Captain Jennings and his pal Freeman are busy sniffing out ovarian cancer. Nobody is sure how, but it’s possible the dogs could be picking up on something unique to this cancer not yet detected by human analysis. Between sniffings, Captain Jennings happily plays with Freeman, who got himself a sniffing career rather than one as a guide dog for the blind, and has never looked back. The seven-year-old, 100-lb. black Labrador is McCulloch’s star research assistant. ‘Freeman is just a happy, easy-going dog who loves to work,’ says McCulloch. Much more than that, even if their cute noses are superseded by a device, wouldn’t it be nice if they could know that science and humankind will be forever grateful to them for leading the way in saving lives. 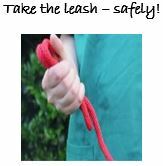 Have you seen what people do with a leash in their hands? I remember attending a seminar early in my career by Patricia McConnell where she showed a video of chimpanzees handling objects. They grabbed, swung, lifted and pulled at these objects. Dogs never die. They don’t know how to. They get tired, and very old, and their bones hurt. Of course they don’t’t die. If they did they would not want to always go for a walk, even long after their old bones say’; o, no, not a good idea. Let’s not go for a walk.” Nope, dogs always want to go for a walk. They might get one step before their aging tendons collapse them into a heap on the floor, but that’s what dogs are. The walk. it has been suggested that an average dog sees similar to a human deuteranope, a person that is red-green colour blind. This does not mean that your dog could not be colour blind – they could also have the same eye condition that humans have who are colour blind.